The Enterprise version is our all-in, full-featured system for employee time and attendance tracking and corporate IT security. Like its little brother LanAgent Standard, Enterprise is made to protect corporate information, promote effective employee time management, and strengthen workplace discipline. One-stop solution for protecting your confidential information. Full picture of employee computer use during the workday, showing how much time has been actually spent on work. Visual reports, which can be sent by email. Notifications on employee violations of security policies (visits to forbidden URLs, copying of sensitive files to a USB drive, suspicious correspondence, etc.). Package of legal documents for application deployment and introduction of a confidentiality policy at your company. Unlimited license, plus setup/configuration support from our specialists (including via remote access). Enterprise incorporates and exceeds all of the features of LanAgent Standard. Enterprise is optimized for collecting data from a large number of computers and its server component can work in the background 24/7. Your users don't need to log in to the server: all they need to do is to turn on their computer. This version also supports connecting to a virtually unlimited number of data viewing consoles; even better, rights for accessing information can be flexibly configured for each security specialist. Enterprise has a built-in report scheduler and notification agent for violations of security policies, meaning that notifications about a certain type of event can be sent by instant messenger or email to a specially assigned specialist. Notification settings are flexible as well. Support for several security specialist workstations (for viewing collected data). Support for multiple administrator workstations. Flexible system for allocating information viewing rights among security specialists. Server component works in the background 24/7. Notification about violations of security policies can be sent to a designated security specialist by instant messenger or email. Flexible notifications about violations of security policies. Built-in report scheduler with support for emailing reports. Access to data is protected and requires user name/password. The program consists of 4 parts – agent, server, security specialist program and system administrator program. Installed directly on those computers that should be monitored. Monitors all user activities. Installed on a dedicated computer. It includes the agent polling module that retrieves information via the network in a centralized way (polls agents); the notification and configuration module; the report generation module and the database that is used as an archive. The notification and configuration module immediately sends active notification events (via ICQ and e-mail) to the security specialist in case of security policy violations. Correspondingly, the report generation module is used to generate scheduled reports and, if necessary, send them to the e-mail address specified in the settings. The special LanAgent ServiceManager program is used to control the server modules. It is a software suite allowing you to view data collected retrieved from agents and, together with the notification and configuration module, promptly notify the security specialist about occurred violations. access to data is granted only after compulsory authentication. LanAgent Scheduler (report scheduler) allows you to schedule the generation of the report you need. The software suite that allows you to configure the system: agent configuration (what type of logs and on what computers should be created), security group configuration by event groups, security specialist software configuration (assigning rights to view collected data, notification subscription, etc.). These features are implemented in LanAgent Admin. The architecture of the software allows agents to work autonomously independently of the rest of the system. It means that if the computer with the server on it is switched off or there is no connection to it via the local area network, the agent will save the information to encrypted log files on its computer. And it will store this information till it receives a request to retrieve them from the server. Log files will be cleared on the computer with the agent after they are sent. 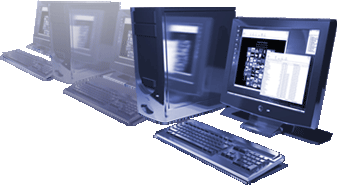 Logs can be stored on a computer as long as it is needed. Theoretically, their size is limited only by the size of free disk space. Nevertheless, it is possible to limit their size and then the log files on the user computer will be cleared once they exceed this limit. Note that the more logs users have the longer it will take for the agent polling module to receive them. Information exchange is carried out via the TCP/IP protocol. All you have to know is only the IP address of the computer with the agent installed on it or its network name for the server part to able to connect to it. Agents are launched at each Windows startup. By default, monitoring is also started at each Windows startup. If you want, you can disable starting monitoring automatically. To do it, select the computer you need in the list in the administrator part, right-click it and select the "User settings" item in the popup menu. After that you will see the "Start monitoring at Windows startup" checkbox. You can clear this checkbox and the agent will be launched at Windows startup, but it will not monitor anything, but just wait for commands from the server part. With all this, LanAgent Enterprise is employee monitoring software that accomplishes two tasks in a powerful way: ensuring IT security at your company and monitoring employee work time use. � 2004-2019 NetworkProfi. All rights reserved.